I just received a new BCD I ordered online and was eager to use it for a Florida dive off West Palm. It has been 5 months since my last dive and I needed to get back in the water. Like many conscientious divers I maintain my equipment. My regulator had been in for schedule 18 months before and so, I figured I had 6 months left before needing another service. As for the new BCD, I trusted the brand and thought, ’what could go bad on a new piece of equipment?" I took the plastic packaging off and stuffed the BCD in my dive bag. 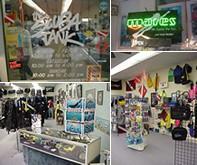 I figured I was good to go but, a nagging voice in the back of my head said, "you need to check your gear out at the dive shop pool before you jump in the open ocean." I decided to side with caution and took my dive equipment to the dive pool to check out. That little voice turned out to be right. From the git go there were problems. The inflater hose on the new BCD failed miserably. The connection continued to pop off and so, the vest would not inflate. 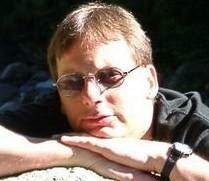 THEN one of the O-rings on my first regulator piston failed too, bleeding air out at a prodigious rate. Even though I was within the 2 year warranty period, I was told that long periods of storage can age rubber and plastic parts quickly on a regulator, especially if exposed to sea water. TWO equipment failures in 10 minutes. Luckily, I was in a 10 foot pool, not on a 90 foot dive in choppy seas. Lesson being, if your equipment hasn’t been used in a while and/or you are using new gear, test it out in a controlled environment, not on an actual dive. I wish everybody listened to that little voice. 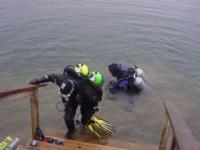 You should also never attempt a type of dive you’ve never done with unfamiliar equipment. The new task load from a new dive experience is enough to deal with. A rock-solid piece of advice! Thanks for sharing your experience with us! 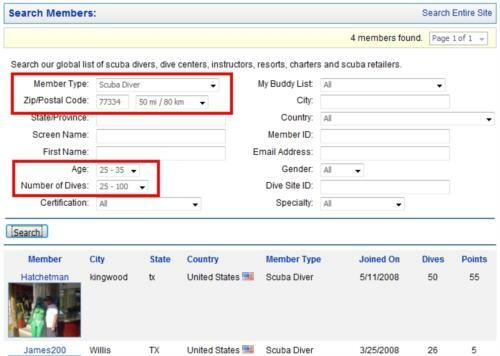 How to find a good dive buddy in your area using DiveBuddy.com. Over 40? Dive for a living? Good luck!!! !